We create student-centred environments that support learning through creating comfortable, well-designed spaces that will enhance the student experience. Working in close partnership with nurseries, schools, and higher education providers, we provide inspirational environments that reflect the latest thinking and initiatives that are driving school development. Our capable teams guide staff and students safely through the journey, doing everything we can when working in ‘live environments’ to keep any disruption to a minimum, whilst also maximising the educational opportunities inherent in the project. In contexts involving children or vulnerable adults, the R G Carter team works will engage with staff to understand the existing safeguarding measures that are in place, in order to develop an appropriate safeguarding strategy for the construction works. R G Carter has extensive higher education experience both on and off campus, this includes student accommodation, faculty buildings, libraries, lecture halls and teaching spaces, in addition to highly-serviced and technically complex research facilities (see also Science and Research). 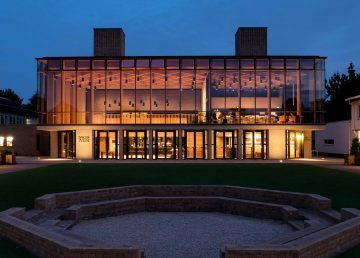 R G Carter has also been awarded places on a number of university contractor frameworks, including University of Cambridge and University of East Anglia. R G Carter has established relationships with local authorities and independent education providers throughout the East of England. 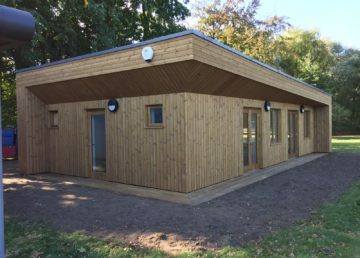 We have delivered a wide range of schools projects, including nurseries, primary, secondary and SEN provision. 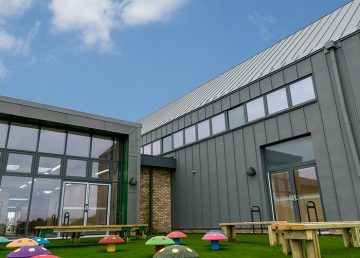 Our varied portfolio of schools projects ranges from new build construction of entire schools, to school extensions on challenging site, modifications to existing school buildings, or the installation of innovative timber-framed modular classbases.